This was followed by their influential remix of Eric B. & Rakim's "Paid in Full," which made the top 10 and was voted best remix of the year. Featuring a prominent Ofra Haza sample and a slew of other vocal cutups, it is now regarded as both a hip hop classic and a breakthrough in the remix field. Their first major hit as Coldcut was the house-inflected "People Hold On," featuring a then-unknown Lisa Stansfield. The single took the U.K. by a storm, and the subsequent album featured such luminaries as Junior Reid (on the single "Stop This Crazy Thing") and Queen Latifah. In 1991 they started their own record label, Ninja Tune, which continues to release groundbreaking and extremely diverse music by a small army of like-minded artists. In 1997 the duo unveiled their own real time video manipulation software, VJamm. Coldcut's current live and DJ sets rely on video as much as records, taking the concept of multimedia performance into largely uncharted territory. Conceptually, Coldcut owes as much to the ideas of beat writer and cut-up theorist William S. Burroughs, 1970s art / industrial group Throbbing Gristle, and the religious writings of J. R. "Bob" Dobbs as much as to Hip Hop originators like Grandmaster Flash or later innovators Double D and Steinski. Recognizing the power inherent in Burroughs' cut-up technique and its presence in hip hop music, More and Black have relentlessly pushed the D.I.Y. ethic and an understanding of play as a means of fostering greater interaction with and understanding of the world around you. The similarities between this ethos and that of hacking need hardly be stated. Ninja Tune uses a corporate facade to communicate via the marketplace itself, an idea first implemented by Throbbing Gristle via their own Industrial Records imprint. One of the key aspects of the Ninja Tune ethos, Stealth, implies that their following of DJs and listeners are "agents" in a Burroughsian sense, propagating the D.I.Y. ethic of play as an essentially subversive act by replaying and manipulating media under the radar of mainstream culture. Nowadays Coldcut reach a worldwide audience through their syndicated radio show Solid Steel. Black has recently (2003) worked with Penny Rimbaud (ex Crass) on Crass Agenda's Savage Utopia project. 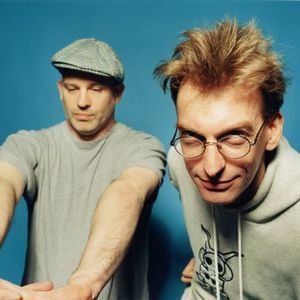 Coldcut have recently released a new album, Sound Mirrors which has helped build up a massive underground audience thanks to the popularity of the single True Skool. The song itself features an Indian sample from a cult Bollywood era making the track incredibly popular on the bhangra and desi scene and with most of the British Asian urban nation.